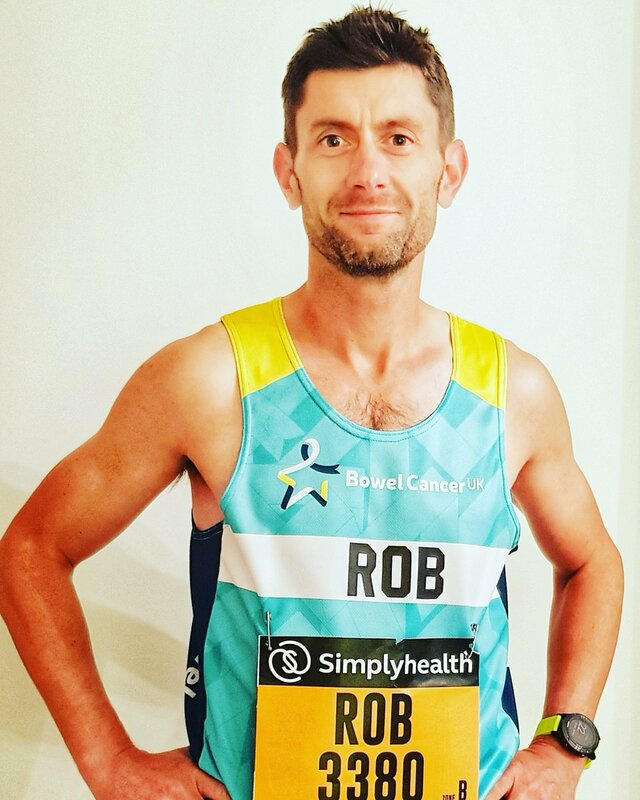 Join Team Bowel Cancer UK at the Simply Health Great North Run, the UK’s biggest and best half marathon. The Simplyhealth Great North Run can't be beaten. It attracts world class athletes like Mo Farah and has over 43,000 other runners taking part. What's more, the atmosphere is absolutely electric! Price: £35 £17.50 limited time special price! If you’ve been successful in this year’s ballot, we would love to welcome you to our team. There is no set fundraising target; we just ask that you raise what you can and we’ll support you every step of the way. Click on the link below to join our team today. Our events team will be here to support you all the way, from your initial welcome pack through to cheering you along the course and celebrating with you at our post-race reception. We will send you a technical fibre running vest along with regular training and fundraising updates to make sure you have the best experience.